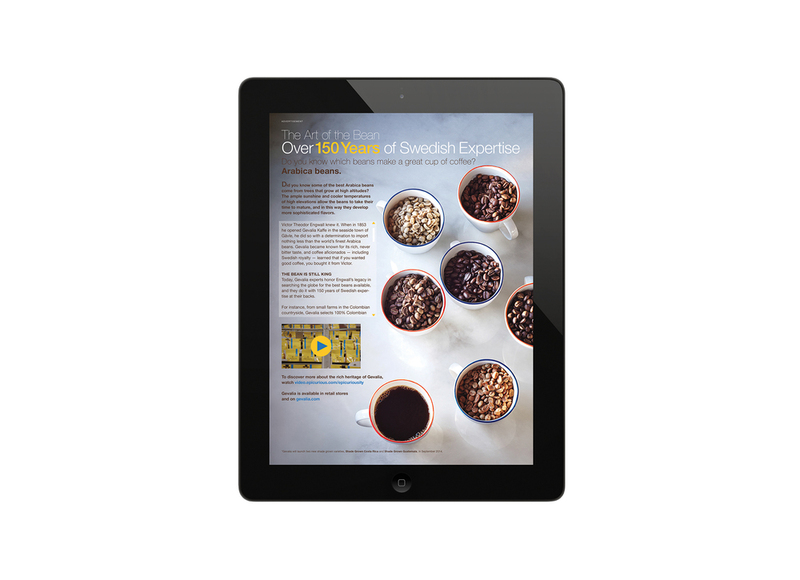 Gevalia tasked us with creating a compelling print campaign that highlighted their heritage in Sweden, but also focus on how that heritage is applied today in the U.S. market. 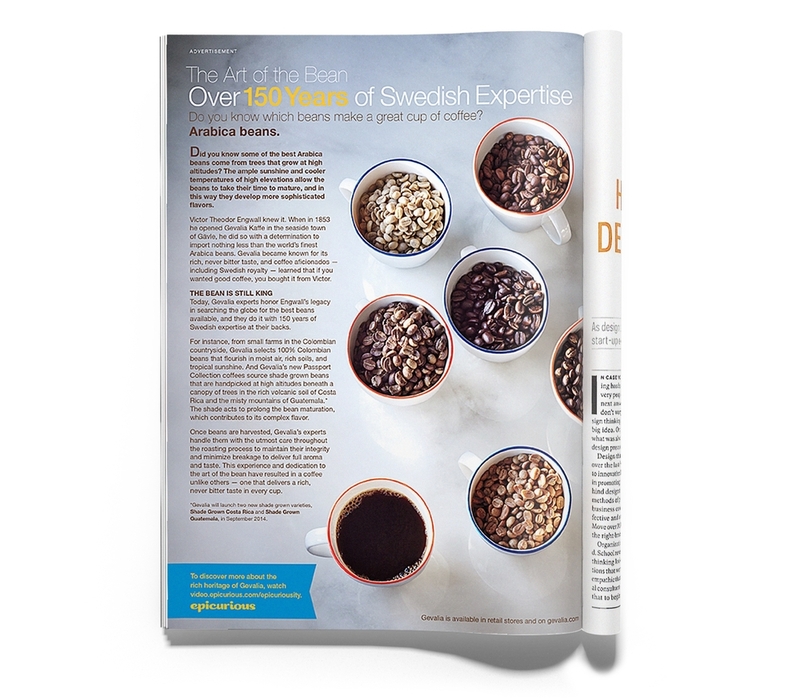 Three print ads were created that focused on the heritage, the bean sourcing and roasting process. 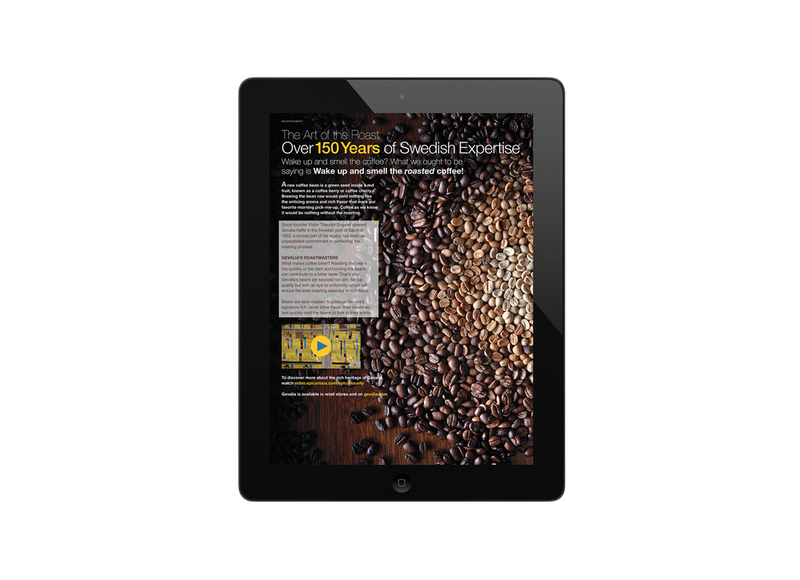 These ads also ran in Bon Appetit's ipad edition. Lead team and project from pre-sale to production. Personally oversaw the execution of photo. Approved all layouts and selects.